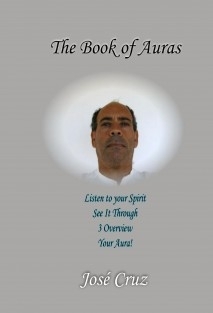 The Book of Auras is taken into account for various applications. In governing the welfare of people in any aspect, depending only and solely the good use, and a proper application that people want to give him Consciously. Whether a query to the person, to better recognize inwardly or outwardly, problems related to Health in general. Or how to feel the quality of people that surround it. Leading to figure out how to think, feel, and the form and manner to interact on a daily basis with them in a healthy way without them realizing it. Thus adopting a way of being and interacting with these people. In many cases helping one way or another, to understand consciously to themselves. Going somewhat against the Supreme Power that governs all. It also applies to personal and spiritual development. If extending to all Humanity. Recognizing a certain color of right and Aura. Of anyone including the person himself, later I shall explain, the way it is possible to access this technique can be through the View or not that same Aura. Is extremely important to identify a particular color of Aura, for a variety of applications that you want to give that a major and much attention to it, is intended only for the recovery of people, sick or otherwise destabilized. Always aiming to do well. And never the other way around, but could be seriously hurt. I repeat not want to be boring and very Careful Attention, as apply what is described in this Book. Going all the responsibility rests with each of you so sharp and aware. When you access such a color Aura, and the same exists or points in the same dark clouds. It means, to the extent that those who are darker, the greater the problem the person has, whether physical or mental in the forum. That person to develop the ability to view, and then correctly identify by focusing only on the affected area, or the problem itself, is likely to remove. Depending only on the ability of each one. Whether for your own sake or for others.